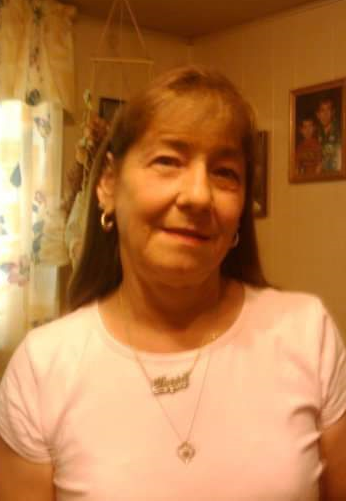 Maria Carbone Addison, 66, of Tyler went to be with her Lord and Savior on Saturday, January 12, 2019 in Tyler. Graveside services will be held at Dallas Fort Worth National Cemetery at 9:30 A.M. on Monday, January 21, 2019. Visitation will be held from 3:00 to 5:00 P.M. on Sunday, January 20, 2019 at Ingram Funeral Home in Quinlan. Serving as Pallbearers: Wilfred Martinez, Donald Johnson Jr., Ricky Gafford and Matthew Johnson. Maria was born in Brooklyn, New York on February 21, 1952. She is the daughter of the late Fred & Marie Carbone. She was raised in Brooklyn and graduated from H. Frank Carey High School in Franklin Square, New York. Maria was married to Donald Johnson Sr. and they lived in New York until his passing in 1989. She met an old friend, Ronald “Tony” Addison and they got together. They moved to Florida and then to Texas where they married and lived until his passing in 2016. She spent many years working in healthcare as a nurse and later she worked for Walmart as an associate. Maria was also preceded in death by her sister Catherine Carbone. She had many friends that she enjoyed hanging out with but her favorite times were spent with her kids and grandkids. She is loved and will be missed by her sons Donald Johnson Jr. of Dallas, Christopher Johnson & Savanah of Tyler; daughters Dawn Wingert & Mark of Harrison, Ohio; brothers Fred Carbone & Rina of Farmingville, NY, Louis Carbone of Binghampton, NY; sister Thersa Sabo & Steve of Port St. Lucie, FL; grandchildren Matthew, Ricky, Ashton, Austin, Anthony, Elijah, Bella & Marissa; great-grandchildren Gavin & Lorelei; and numerous other family and friends.